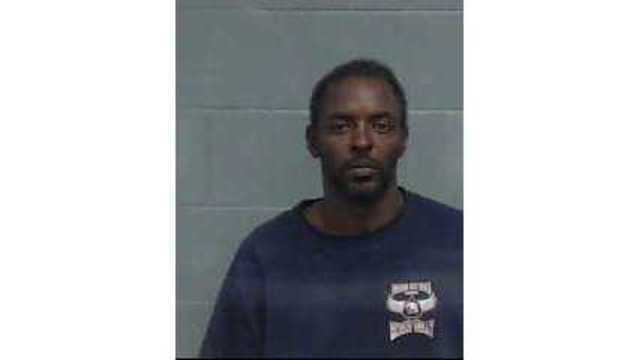 WASHINGTON COUNTY, Fla. - An Alabama man has been arrested on drug and weapon charges. Washington County Sheriff’s Office responded to reports of a suspicious person in the area of Payne Lake Road in Vernon on Thursday afternoon around 1:30 p.m.
WCSO received a call from a concerned citizen saying a man was banging on the door of a Vernon residence for several minutes, the homeowner told authorities he did not know the man. Deputies located a man matching the description given by witnesses. He has been identified as Shelton Sandor Smith. Smith had an active warrant out of Holmes County warrant and is a convicted felon. Further investigation led to the discovery of a handgun and an additional magazine in Smith’s jacket pocket. The gun was said to be fully loaded, with one round in the chamber. Officers also located a bag of methamphetamine and a glass pipe in Smith’s backpack. Smith has been taken into custody and booked into the Washington County Jail on the charges of possession of methamphetamine, possession of a weapon and/or ammunition by a convicted felon, and carrying a concealed weapon, which are all felony offenses in the state of Florida.